Hello Spinach Dip! Look at that, isn't it beautiful? It wasn't only beautiful with it's green hues, but it was also delicious with it's decadent creaminess, and nutritiously beneficial because of the vibrant greens used (spinach and Avocado). Watching football or gathering for a special occasion doesn't have to be a unhealthy gut-busting heart-clogging get together. It can easily be tasty, healthy, and filling. This spinach dip is proof, and I had to share. You're probably used to a spinach dip full of cheeses and mayo, but this one doesn't need either of those. This recipe gives you a dip that is rich and creamy using ingredients that your body will thank you for. Using a non-fat greek yogurt you're getting the creaminess a good dip needs, but you're also getting a great serving of protein, calcium, and probiotics for digestive health. 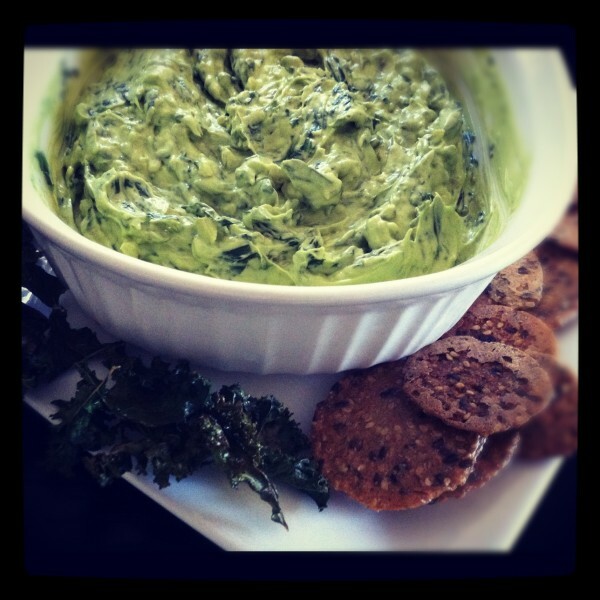 The Avocado also aids in creating the right consistency to the dip. In fact, you could do without the greek yogurt if you are dairy free or just want the avocado taste. The avocado provides excellent nutrients, including Fiber, Potassium, Vitamin E, B Vitamins and Folic Acid and healthy fats that your body actually needs! Spinach is of course the main ingredient, and for good reason, as it is full of nourishment. 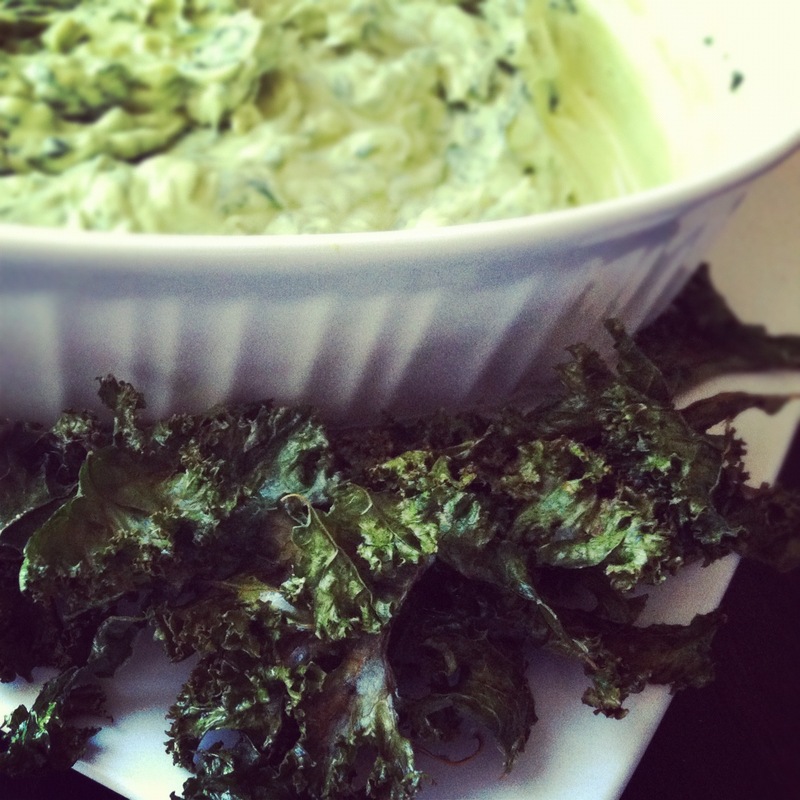 Pair this tasty dip with roasted sweet potatoes, flax seed crackers, veggies, or kale chips! You definitely don't have to feel Guilty about this dip. If you're making this dip for a group of people and you or a guest are gluten free, only provide g-free items for dipping. For example, crackers and bread, keep g-free because when you're dipping crumbs of gluten can be left behind. This is simple to do and your gluten free guests will be so thankful that they don't have to worry about what else may have been dipped. -Heat coconut oil in a saute pan and then cook garlic and shallots until tender. -While spinach, shallot, garlic saute is cooling, puree avocados, yogurt, and lemon juice together in a food processor until smooth. -Add a pinch of Sea Salt or Pink Salt if needed and season with fresh ground pepper. -Add the finely chopped Spinach Saute mixture to the creamy mixture and stir well. -Enjoy with veggies, flax crackers, roasted sweet potatoes, or kale chips! Yield: This recipe makes enough for a party, serving about 14 people.